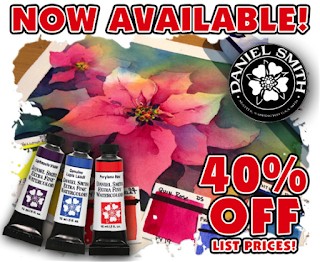 Daniel Smith Extra Fine Watercolors have a range of 231 colors! Made in the USA – these watercolors include historical colors, earth tones and bright, bold shades, tints and hues. The light-fastness rating for Daniel Smith Watercolors rate LR1 or LR2 and their layering qualities are superior.